When people talk about O.J. Simpson, they're usually talking about Nicole Brown Simpson, the Bronco chase, or the "trial of the century." It makes sense: The trial in which Simpson was acquitted of the murders of Brown Simpson and Ronald Goldman was a media sensation in the '90s, and interest in it has whipped up again thanks to FX's The People v. O.J. Simpson: American Crime Story and ESPN's O.J. : Made in America. The latter is a little different, though, in that it doesn't just focus on the parts of his life surrounding the trial. ESPN's documentary goes all the way back to his childhood, through his football career, and, eventually to the events that made him infamous. And, you know what? The picture of his life outside the trial isn't always so rosy, either. O.J. Simpson had affairs through all of his marriages, by his own admission. 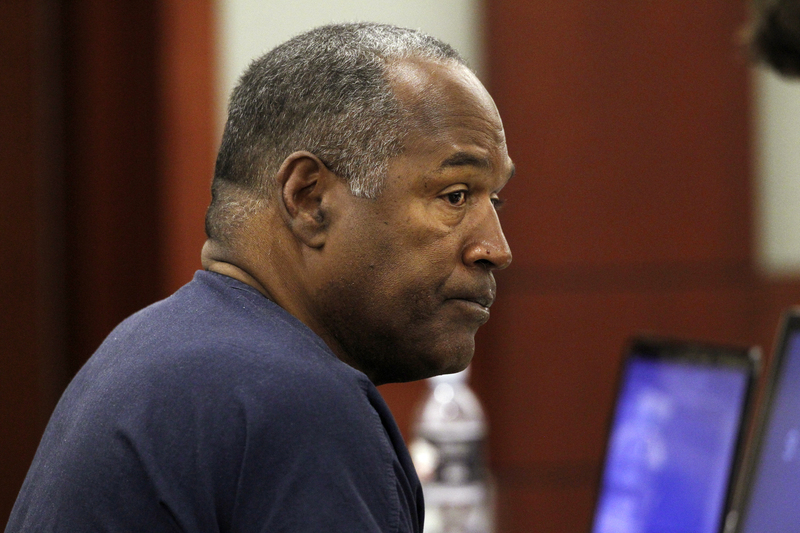 The Daily Mail reported that Simpson admitted to his extramarital affairs in another documentary, O.J. In His Own Words. "I was unfaithful to both of my wives," the paper reported him as saying, "and it’s what I’ve regretted most in my life." O.J. In His Own Words was created by Simpson's former manager Norman Pardo, using Pardo's own footage, which he told Radar Online that he released so "people could see who [Simpson] really is." And while most people are familiar with Brown Simpson, Simpson's first wife, Marguerite Whitley, is much less well known. According to the New York Times, Whitley and Simpson were high school sweethearts who married in San Francisco in 1987 as teenagers. The paper reported that Simpson's lawyer from their 1979 divorce wasn't "aware of any violence in that marriage." Still, the U.S. News and World Report reported that Whitley told Simpson's biographer that the marriage was not always happy. "He was a terrible person in those days," she claimed to biographer Bill Libby. "Just awful. I sensed something good in him, but I don't think it really showed. He lived on the brink of disaster." The article goes on to report that Simpson didn't deny Whitley's assessment, saying, "I had a lot of hatred and defiance in me. I could easily have come to a bad end if I hadn't gotten a break." Whitley and Simpson have two kids together, Arnelle and Jason. There have been allegations that Simpson cheated on Whitley with Brown, whom he met when she was a waitress at a Beverly Hills club called the Daisy. Brown's cousin Rolf Baur claimed to the Los Angeles Times that Simpson had begun pursuing Brown shortly after meeting her, while his marriage to Whitley was "faltering." Brown and Simpson married in 1985, and divorced in 1992 and have two kids together, Sydney and Justin. In a letter that came out during the trial that was archived by CNN, Brown accused Simpson of conducting affairs and based on what he said in O.J. : In His Own Words, it seems she was right.